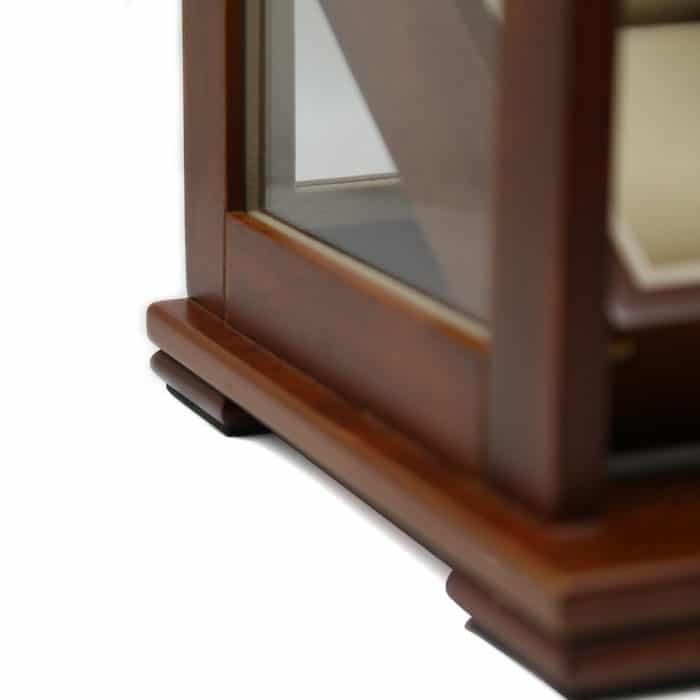 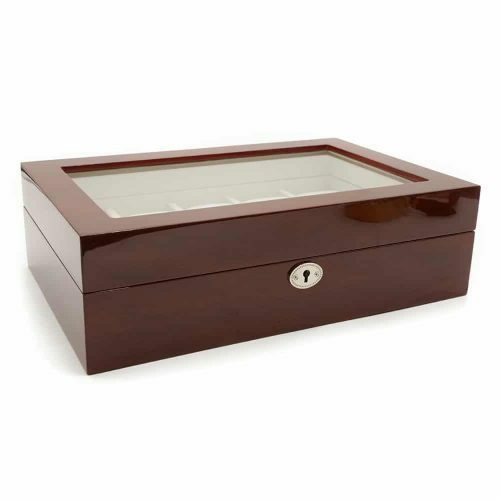 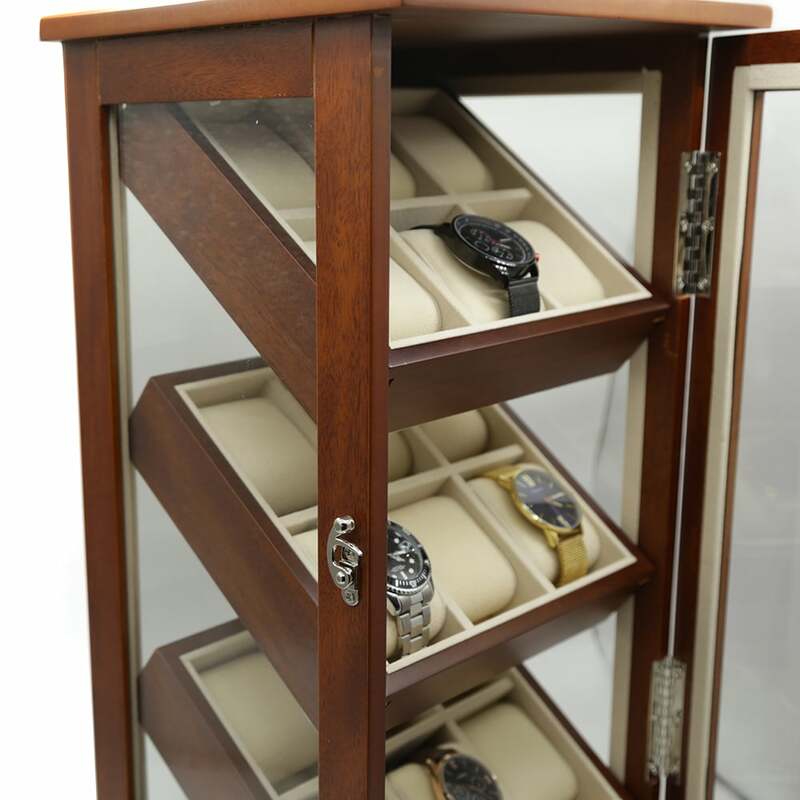 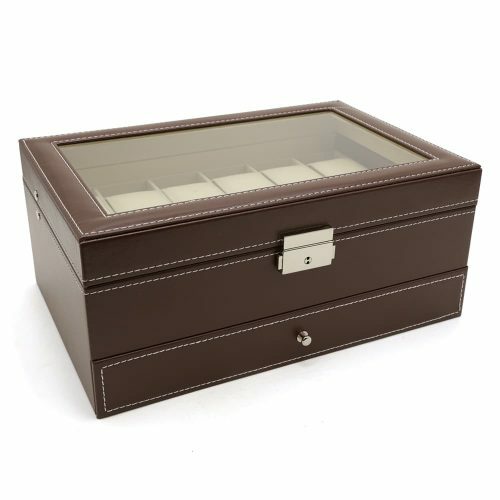 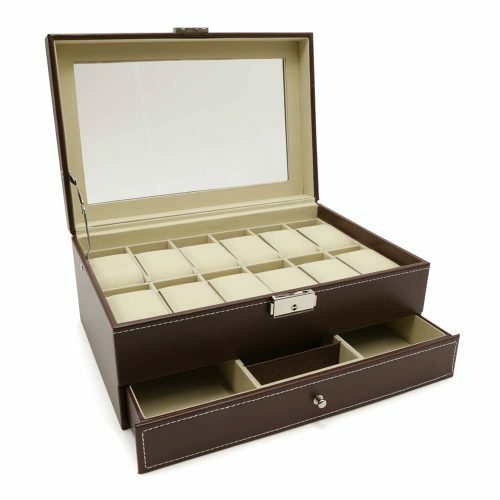 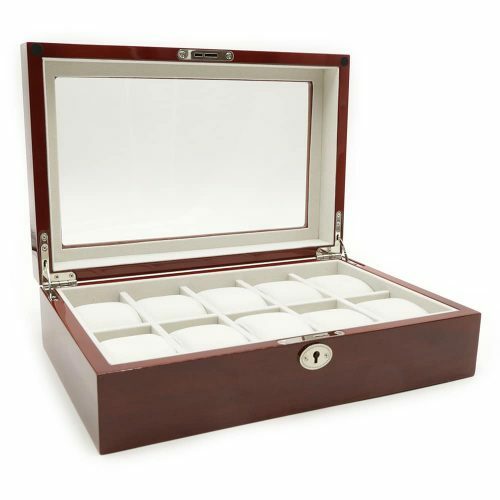 Display your watches in this luxurious 18 Slot Mahogany Watch Cabinet. 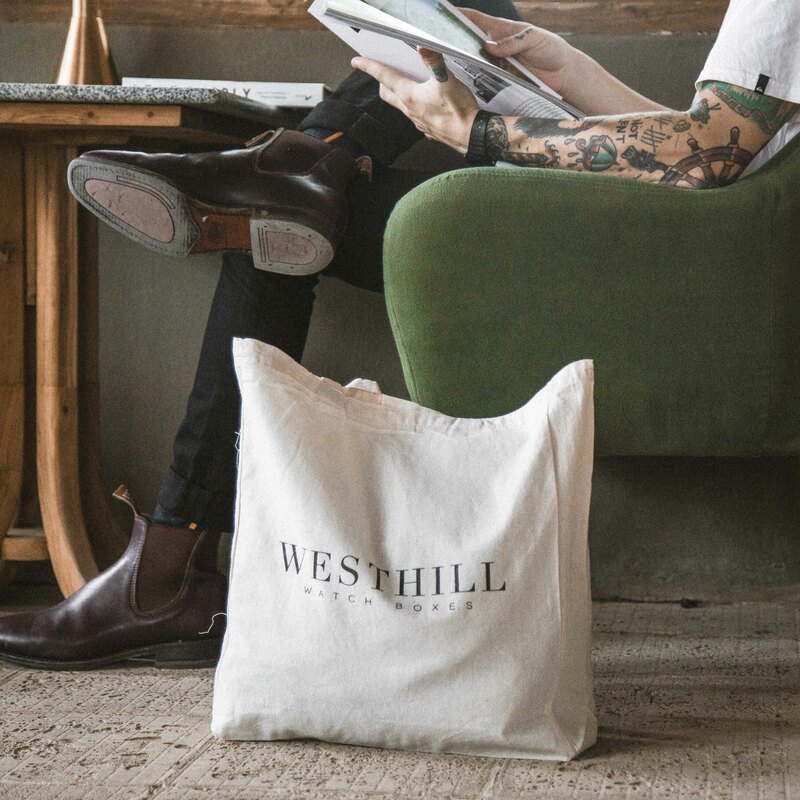 This watch is the perfect way to display your fine collection without having to deal with dust, dirt, and humidity. 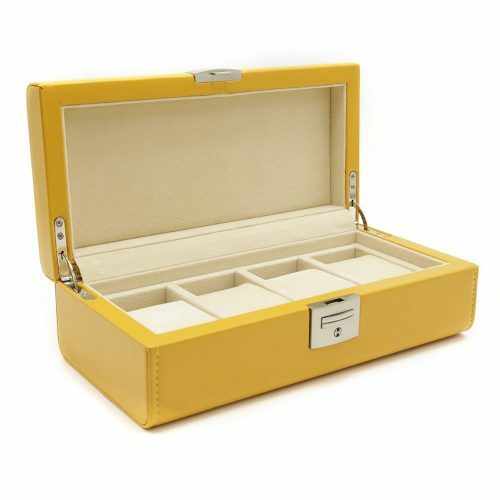 It comes with 3 levels each lined with a high-quality cream velvet interior with 6 slots each for a total of 18 slots. 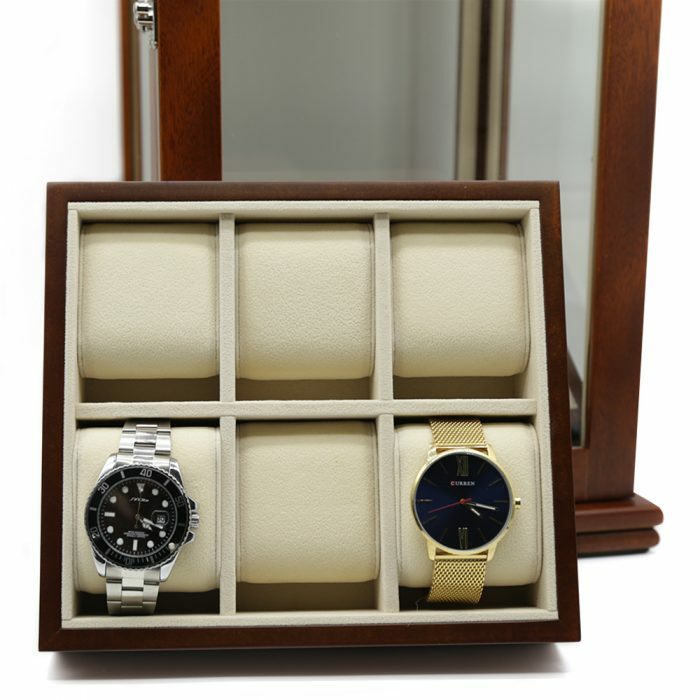 All 3 of these trays are also inclined at a perfect angle to you to easily view your collection. 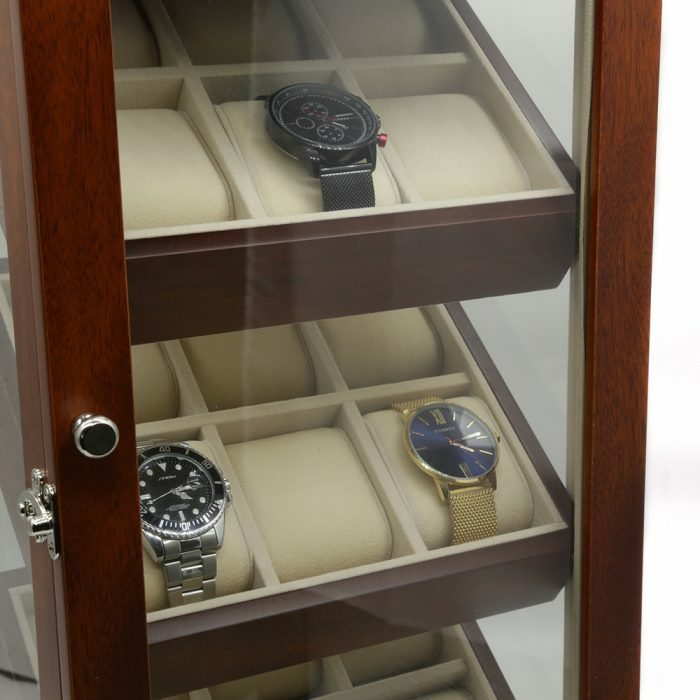 These can also be removed allowing you to easily place and remove your watches from the cabinet. 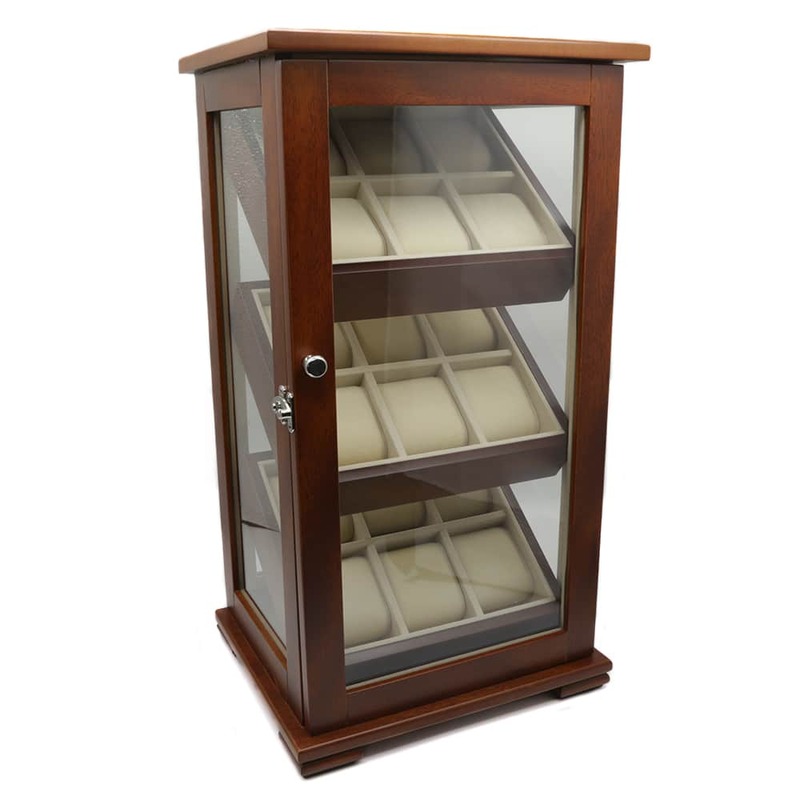 All four sides of this display case are fitted with see-through panels making it easy to view from most angles. 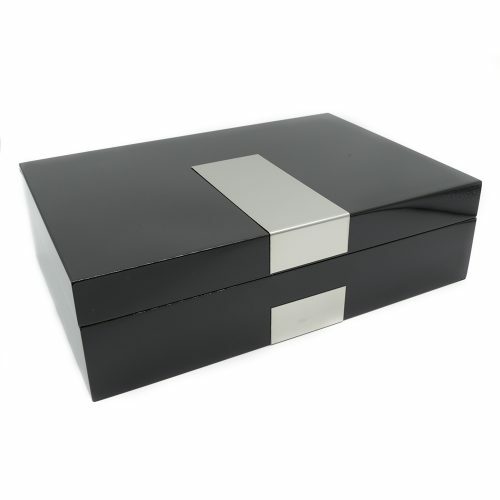 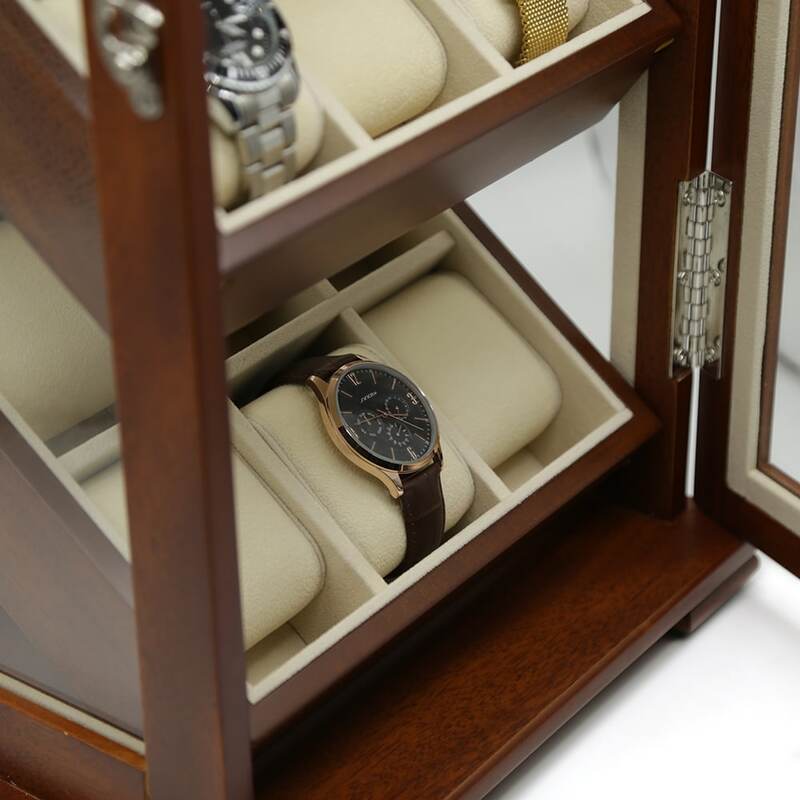 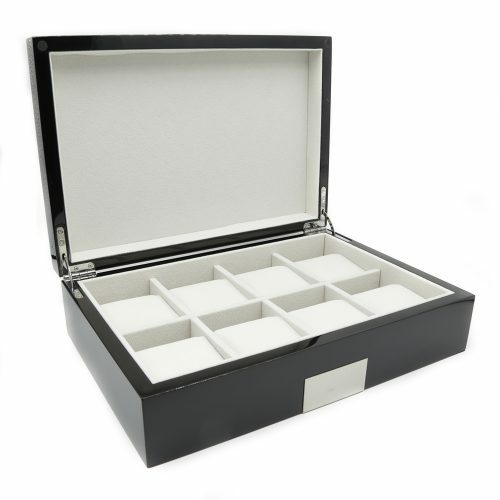 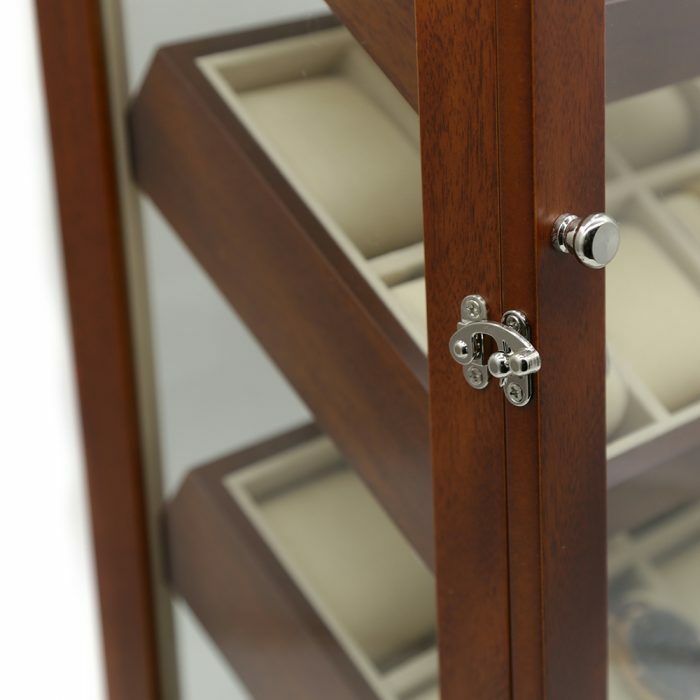 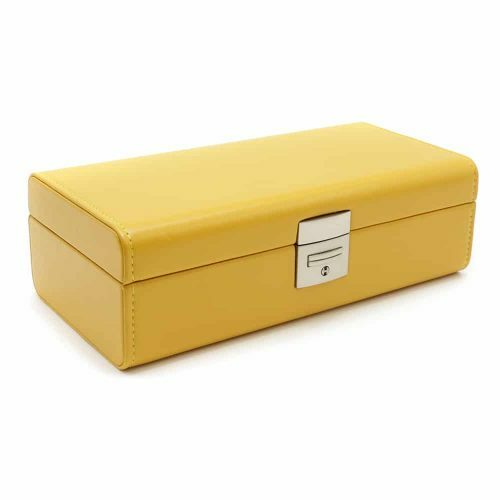 The front door of the case has a stainless steel latch to ensure your watches are safely stored. 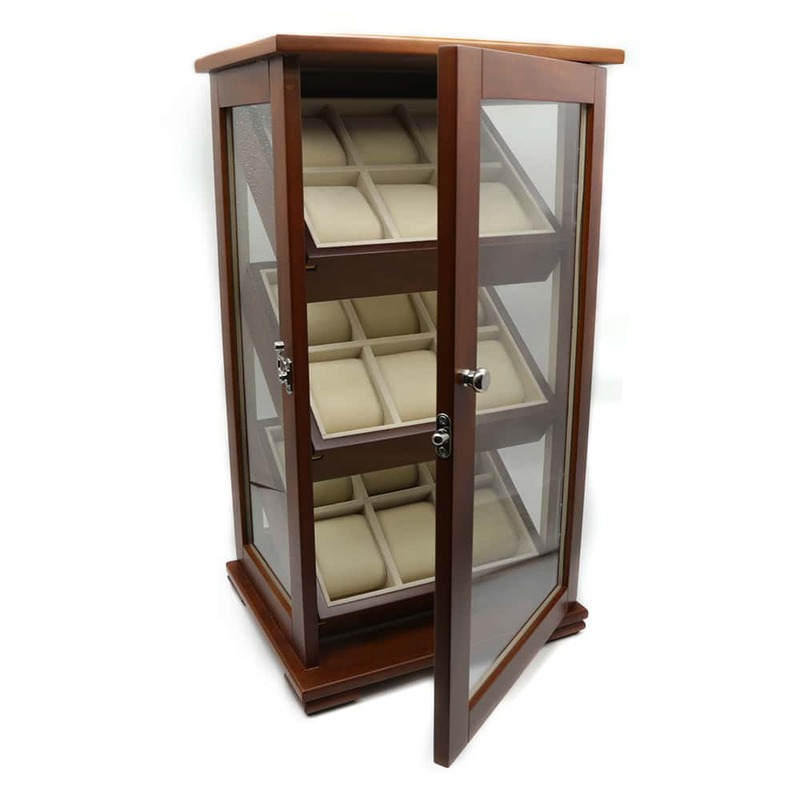 It’s a perfect decoration piece for any room as it adds a touch of elegance with its beautiful, classic design.